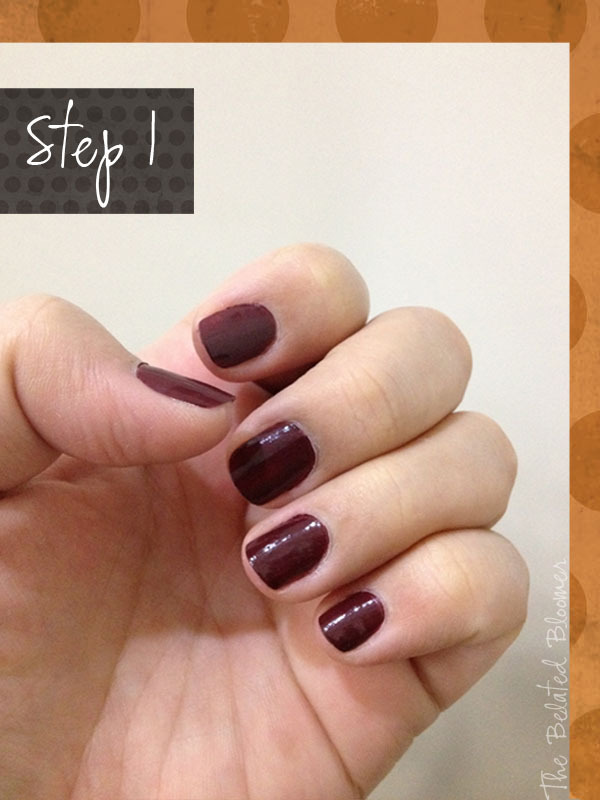 1.Just pick a base color and paint two layers over your nails. I picked this oxblood nail polish, which is oddly called Chestnut 05, because it is nowhere near the color of chestnuts. 2. 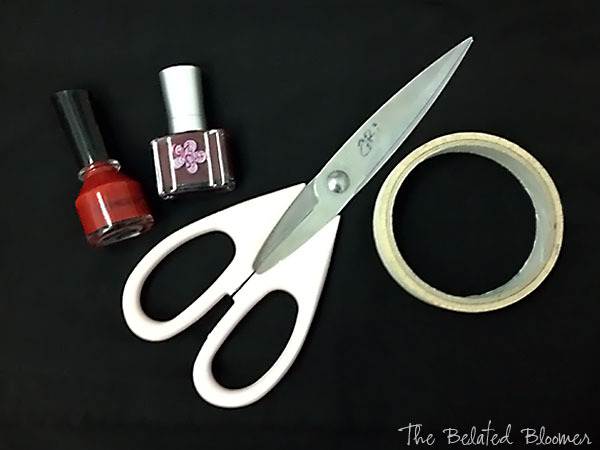 Using a pair of scissors, cut out thin strips of tape. You can use masking tape as I did, because frankly, that was all I had. LOL. Tape diagonally, leaving about half a millimeter space for the design. 3. 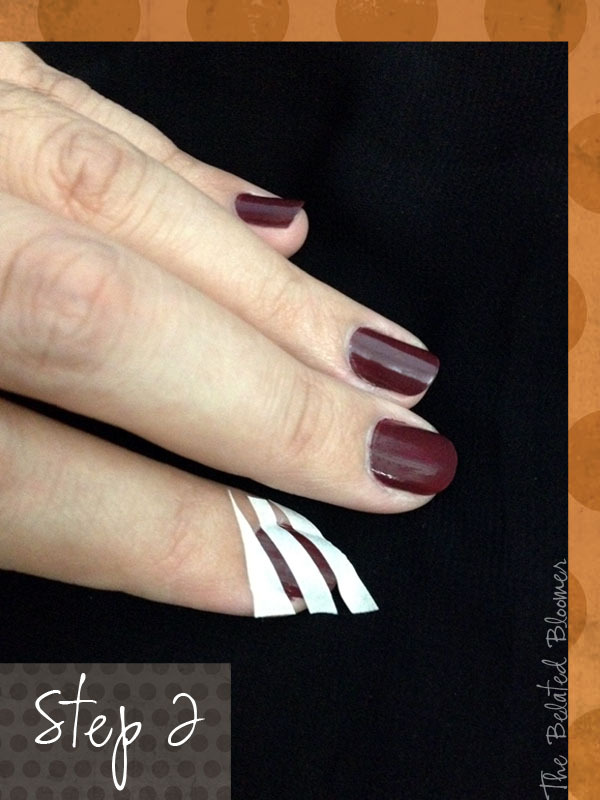 Paint over the tape with your chosen color. 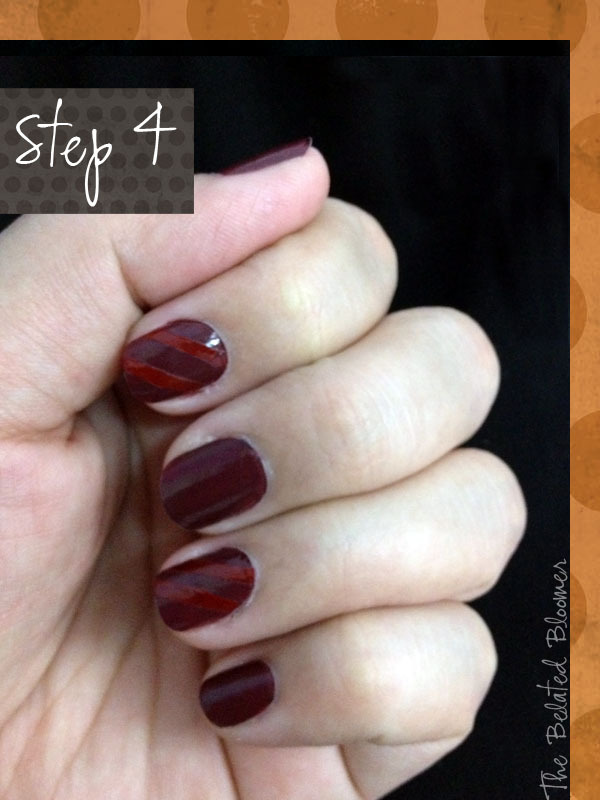 I wanted a subtle nail art for once for a more sophisticated look, so I chose a red color that is close to the oxblood base. 4. Wait a minute or two to let it set and peel off tape. Ta-da! Your easy-peasy, basic nail art is done. What other sorts of do-able DIY nail arts do you know of? Have you tried them yourself? I'm bad at painting my right hand because my left hand tends to put nail polish all over the place, but this one's really easy. :) Hope you enjoy it, Katie! Very cute! Love the stripes! I have been wanting to do some nail art and this may be the first step to getting there! Lets do it one afternoon.. and do a tutorial :) tried the masking tape. Failed! 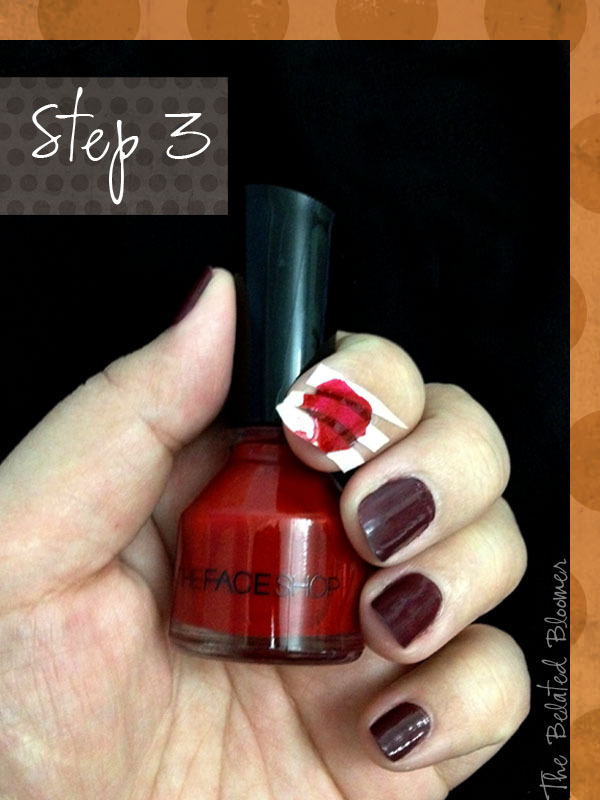 This actually DOES look easy – most nail art seems impossible to be but I'm definitely gonna be giving this one a try! If i can do it, I'm sure almost anyone can! This is exactly how I do it! Its pretty easy and helps if your not a pro (like myself) Anyway it came out awesome! Love the colors. Tape can do wonders. Haha! I know! Even those with unstable hands (ehem, me) can do this! That's a good idea too, Elle! I love nail art and this just looks so doable - need to try it! Let me know with a comment & I always follow back. i like the subtle stripes! i tried something similar with masking tape but really didn't like the way the polish pooled at the edges. maybe i just got the technique wrong..
Hmm...maybe your layered the polish on too thick? The nail art topic in this blog. It is very genuine and good. I really appreciate it very much.